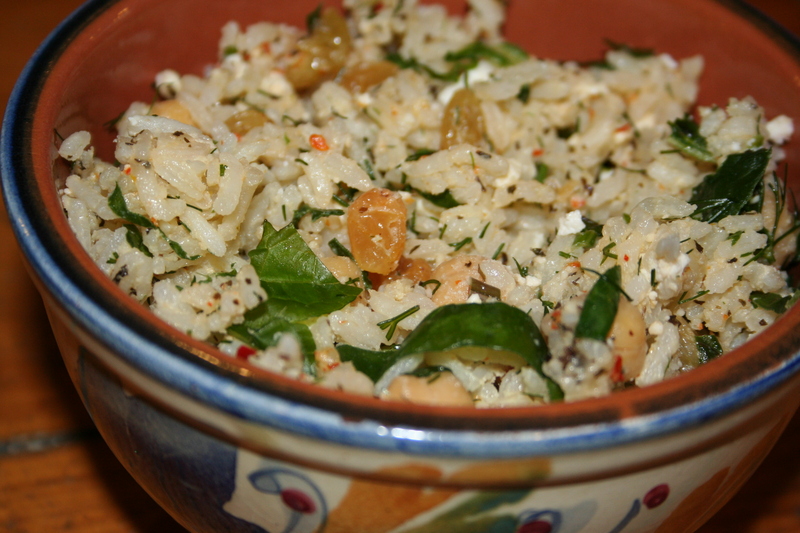 First we have the ever delicious rice & chickpea salad from Sofra (available at the Siena Farms market stand). 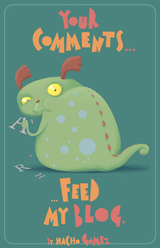 Must get more for lunch today as soon as I finish this post. Edit: only made it halfway through the post before running down to the farmer’s market to get some. The best part of this salad is that they play around with it a bit week to week. This week — no basil, yes broccoli! 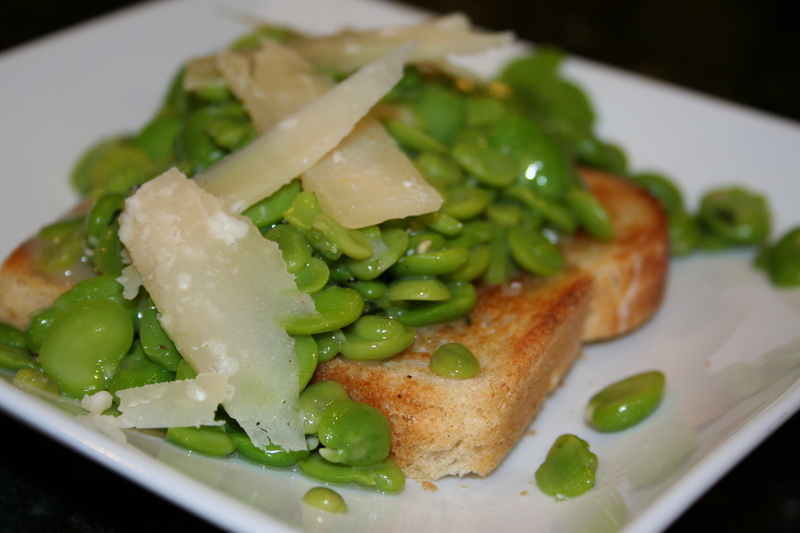 Ah, memories… Fava bean season is long gone, of course, but at least I can reminisce about these beautiful beans sauteed in butter over toast with Ombra cheese on top. Sigh. 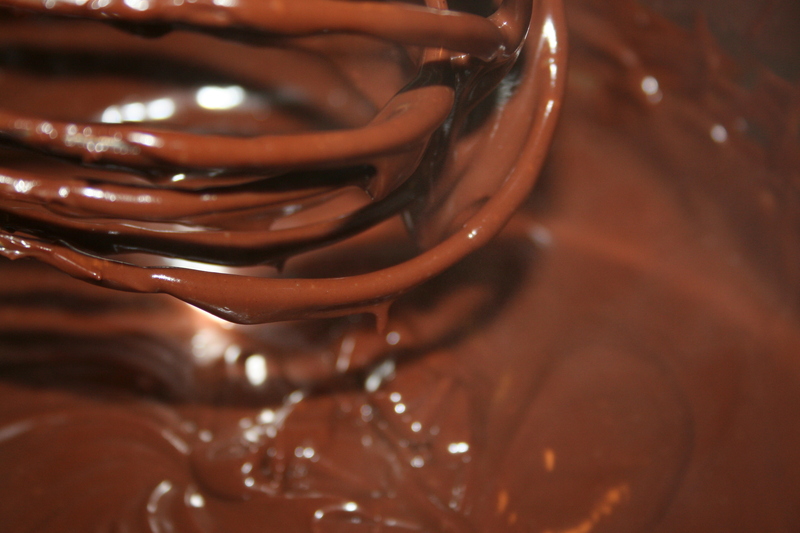 This here (Well, yes, it’s chocolate. Obviously.) is a base for a chocolate peanut butter ice cream I made for fourth of July. 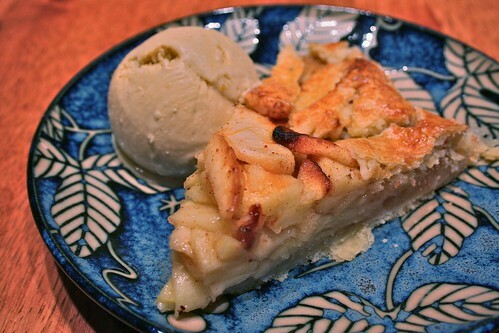 It turned out to be a disaster, actually, but tasted good nonetheless. 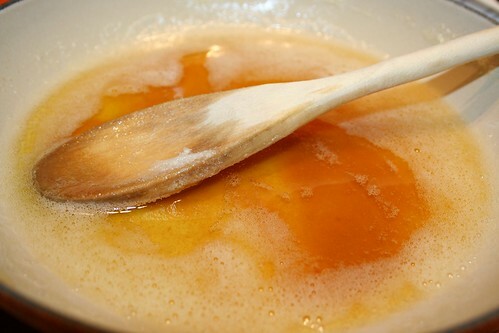 It had the consistency of frozen fudge. Yes, I ate it anyway. With my fingers. Wouldn’t you? 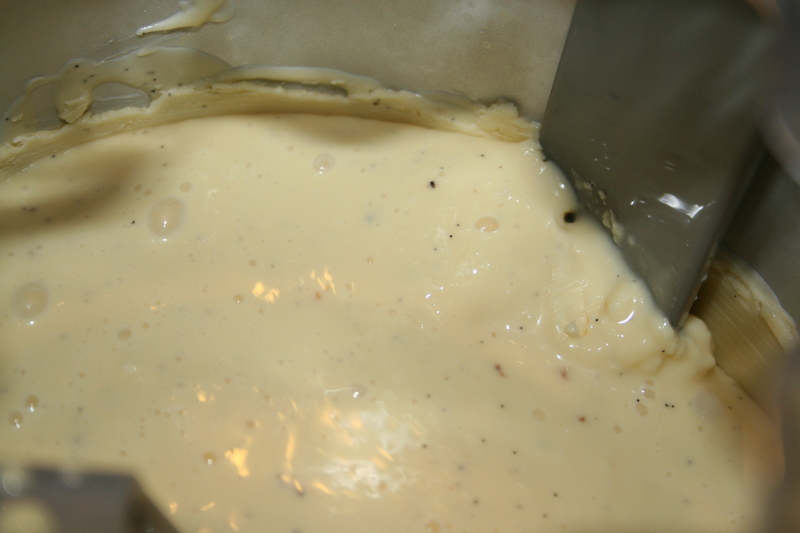 On the far more successful side was this vanilla bean ice cream, midway through churning in the photo. Very very yummy. Recipe from David Lebovitz (the guru of all things ice cream). Topped it off with the salted caramel from Formaggio — amazing! On another indulgent evening, I was craving some good old fashioned meat and potatoes, summer style. 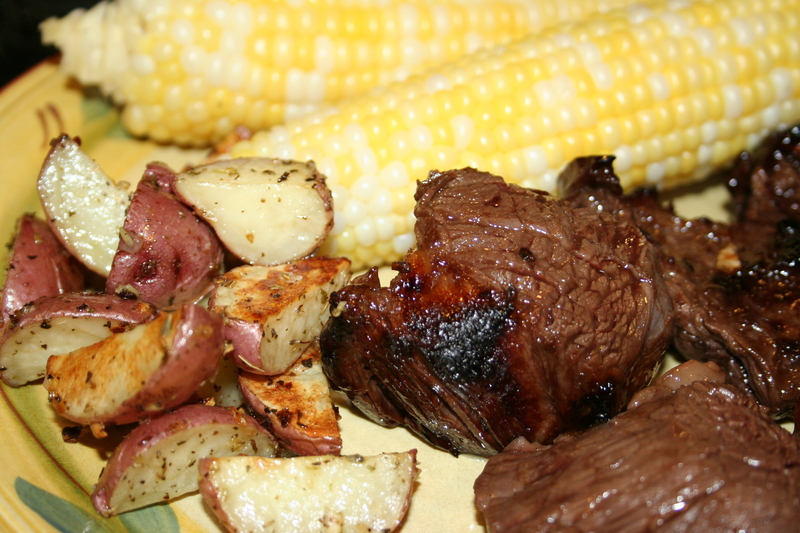 Enter steak tips, roasted red bliss potatoes with fresh herbs, and of course, some fresh corn on the cob. And that’s just scratching the surface of my summer in food! My computer needs a break now, though. And so do I. Because I’m suddenly very hungry. Again.